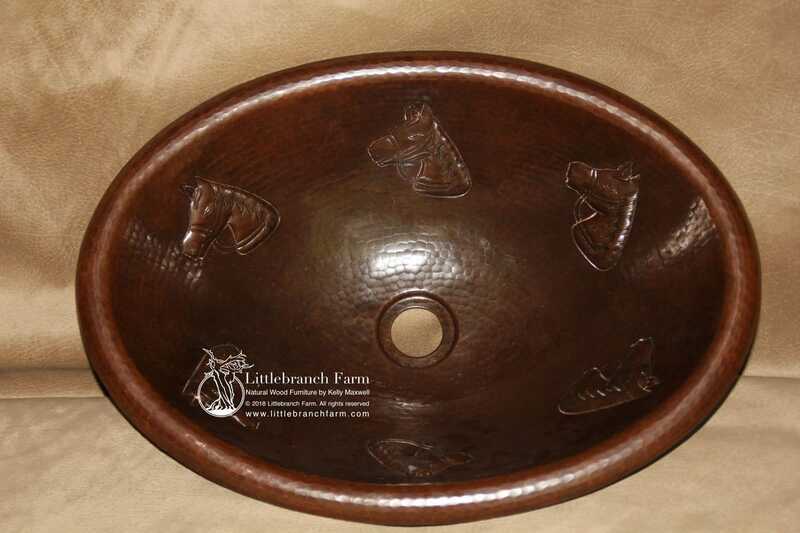 Horse hammered copper sink is available in 19″ x 14″ x 5.5″ oval and 17″ round x 7″deep. 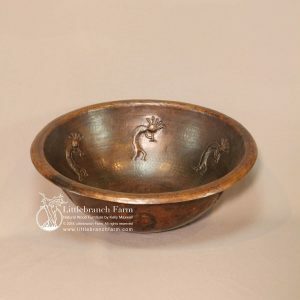 Horse hammered copper sink features a horse head design and natural copper patina. It is also available in oval and round with flat rim under mount sinks and rolled rim top mount sinks. 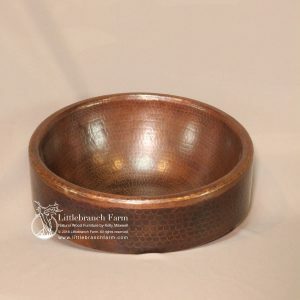 While copper sinks are antibacterial they are also easy to clean and care for. 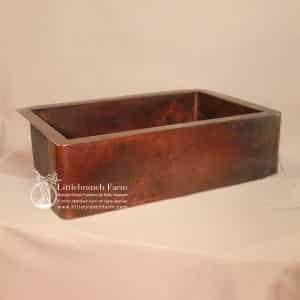 We use our copper sinks in our custom wet bars and rustic bathroom vanities. This is a natural addition to our rustic furniture designed and built with natural wood such as old growth redwood and live edge wood. 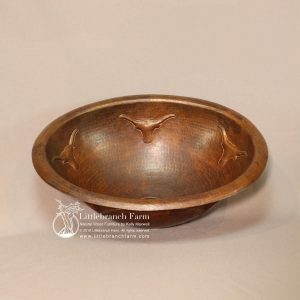 So, whether a rustic bathroom sink or live edge table is in your future we are your rustic decor shop.